We export worldwide all kinds of jasmine flowers and jasmine buds in bulk which is precooled. 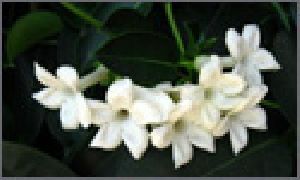 We also export jasmine garlands in huge quantity. We provide packaging of all orders in standard boxes which are ice-packed as per international standards. We also provide flower arrangement of Jasmines according to your specification. Jasmine Flower Buds Packing in Thermocol Box with Gel ice 500 gms * 12 packets = 6 kg box We can source Jasmine from the local suppliers and send it by air. For the initial consignment we can send some sample for you to check.